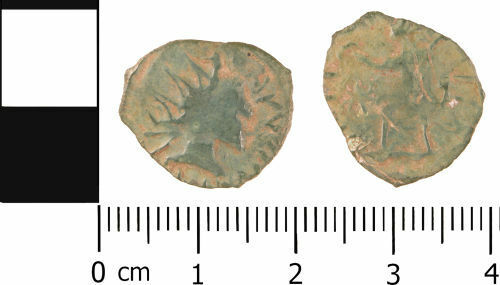 An incomplete contemporary copy (barbarous) of a radiate, of uncertain Emperor, but probably dating to the period AD 275 to AD 285 (Reece Period 14). Reverse type uncertain but depicts a standing figure, walking left, holding wreath in left hand. Mint uncertain.